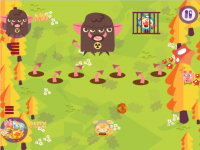 Monster Shuffle is a completely free Action/Arcade game with different modes of play giving you a selection of character to choose from each with different powers and abilities. containing 3 beautifully designed worlds spanning 32 levels and the ability to setup custom matches the replayability is endless! We're always looking for new character ideas so feel free to suggest any abilities or characters you would like to see in MonsteShuffle. The story starts out when Beamper discovers masses of toxic slime falling from the sky it is your job to find and stop the source before your world becomes engulfed in darkness. 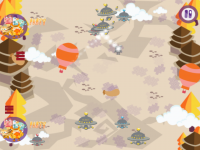 Going through the game you will find yourself in a variety of situations to deal with from simple animals to rotating shurikens you will have to change your strategy to fit the many different environments you will end up in. As you complete more levels you will discover others who are willing to help and lend their ability to your cause from bubble walls to fireballs you will need all to complete this epic adventure. As well as the main adventure, tournament mode allows you to play with up to 3 computer players giving you the option to select their team and character to play against or with on a variety of different levels. Play as 1 of 7 unique characters with different abilities and powers! 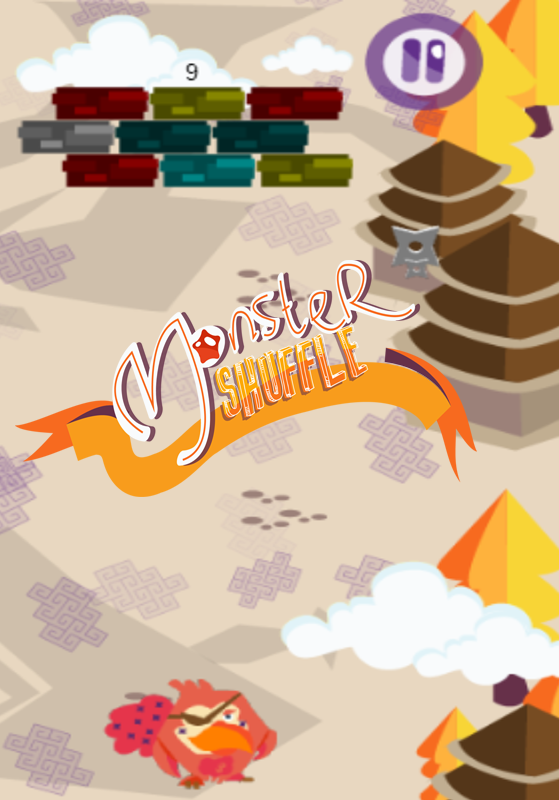 A free version of monster shuffle is now up containing the entire game with tournament mode! Play Monster Shuffle for free! 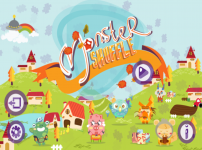 We have now released a free version of monster shuffle on the android store with access to the entire game including tournament mode and 3 worlds with all 32 levels and all 5 characters. Both versions will continue to be updated with new features and content. Select the image or link above to download and play the game now! Play as 1 of 5 unique characters with different abilities and powers!